- Five decades of the Rosary must be prayed continuously. 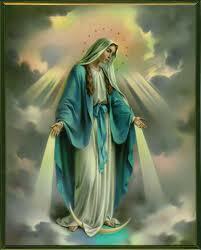 - If the recitation of the Rosary is public, the Mysteries of the Rosary must be announced. Q. 849. How do we show that the Church has the power to grant Indulgences? A. We show that the Church has the power to grant Indulgences, because Christ has given it power to remit all guilt without restriction, and if the Church has power, in the Sacrament of penance, to remit the eternal punishment—which is the greatest—it must have power to remit the temporal or lesser punishment, even outside the Sacrament of Penance. Q. 850. How do we know that these Indulgences have their effect? A. We know that these Indulgences have their effect, because the Church, through her councils, declares Indulgences useful, and if they have no effect they would be useless, and the Church would teach error in spite of Christ’s promise to guide it. Q. 853. How does the Church by means of Indulgences remit the temporal punishment due to sin? A. The Church, by means of Indulgences, remits the temporal punishment due to sin by applying to us the merits of Jesus Christ, and the superabundant satisfactions of the Blessed Virgin Mary and of the saints; which merits and satisfactions are its spiritual treasury. Q. 854. What do we mean by the “superabundant satisfaction of the Blessed Virgin and the Saints”? A. By the superabundant satisfaction of the Blessed Virgin and the saints, we mean all the satisfaction over and above what was necessary to satisfy for their own sins. As their good works were many and their sins few—the Blessed Virgin being sinless—the satisfaction not needed for themselves is kept by the Church in a spiritual treasury to be used for our benefit. Q. 858. What must we do to gain an Indulgence?